Many of us have heard the term Essential Oils, but how many really understand them and give them the respect that they command? Let’s start by defining them. “Essential Oils are products of the secondary plant metabolism with complex chemical compositions and purposes in nature.” (“Aromatherapy Lifestyle” by Kurt Schnaubelt) They are nature’s medicine cabinet. Essential Oils should not, however, be confused with Herbal Extracts, Tinctures, or other remedies. There is a difference between them all. Herbal extracts are an infusion or a tea. It is made by soaking a plant part in a base such as oil, water, alcohol, glycerin, etc. Tinctures refer specifically to extracts in alcohol. Essential oils are made through a specific process and are much more potent. How are they made? Essential Oils are generally extracted by steam distillation. The result is a highly concentrated chemical compound, a volatile oil, with pharmacological properties based on specific chemotypes. Any combination of oils changes the chemical compound and can have completely different or new therapeutic properties. Pricing varies on the individual oil being extracted. Some plants leave higher yields than others which affect quantity, availability, and price. To put it into perspective, it takes 60,000 roses to produce 1 oz. of pure Rose essential oil, one of the most expensive oils. It takes 50 oranges to produce 1 oz. orange essential oil, one of the most available and reasonably priced oils. Essential Oils are incredibly versatile. They are most well-known in the perfuming industry, although synthetics are used most of the time now. They can also be used to make home-made bath and body products; perfumes, air fresheners, and candles; household cleaners; and pesticides and insecticides. They are amazing mood lifters and healers. Besides smelling good (most of them), they offer many healing qualities; physically, mentally, and emotionally. It is important to learn about them prior to handling them due to their level of concentration and potential for toxicity. Diluting them is required except for a few rare exceptions. Some create photosensitivity such as lemon and most citrus oils. Some can cause problems for sensitive skin or allergies. It is important to understand them before attempting to use them. Make sure you purchase and use Pure & Genuine, unadulterated, and undiluted Essential Oils. Given the efficacy of these potent compounds, I would not mess around with anything else. Don’t let all this scare you away from learning about them and using them. Just approach them with respect and understanding, and they become powerful tools. The Good Scents Company is a great resource for looking up essential oils for potential toxicity, common uses, scientific research, etc. For more information on ways to use Essential Oils, see the Prevention, Naturopathic Treatments, Sleep & Relaxation, Bath & Body, and House & Home pages. If you are interested in learning more, you can take a course that I have taken and highly recommend through Pacific Institute of Aromatherapy. There are more links to resources and trusted suppliers to the right. Perhaps the least recognized quality is the medicinal properties these oils provide. It is only recently that Oregano Oil has been recognized in the medical community as an effective antimicrobial agent that works on drug resistant strains such as Staph (bacteria), MSRV (virus), Candida (fungus), and parasites. Although therapeutic use of Essential Oils falls under the “Aromatherapy” title, and is not considered medicinal at all, it is these experts that have done the research and understand best how effective these concentrated oils are…chemical compounds from nature. Essential Oils have been studied and used for centuries. But, because they cannot be patented (yet)….the pharmaceutical community wants nothing to do with them…there is no profit. I honestly believe that if there is a cure for Lyme and other chronic diseases, it will be found in essential oils. Personally, I have studied and used essential for over 10 years. I use them in my everyday life with great effect and success. The advantage they have as an addition to Lyme treatment is their flexibility. This allows for customization for each individual patient and circumstance. There are occasional allergies, but this is rare. Essential Oils cross the blood-brain barrier, they are efficiently absorbed into the bloodstream, they do not build resistance in pathogens, and they have little to no harmful side effects if used properly. Some qualities include: stimulate detoxification, boost immune function, drain and stimulate lymphatic system, speed up healing, reduce pain, elevate mood, and induce sleep and relaxation. Some are also effective as bug and tick repellents and insecticides without poisoning soil, water, or harming wildlife. All of this while killing harmful pathogenic microbes. So what is Aromatherapy? Aromatherapy is the study and use of volatile essential oils of plants (flowers, stems, roots, leaves, etc…) for therapeutic use. The term did not appear until the beginning of the 20th century, but the use of aromatic herbs and plants for healing dates back thousands of years and across many cultures. The inhalation of essential oils allows for quick entry into the bloodstream through the olfactory system. Inhalation can be done as simply as putting a drop on a cotton ball or pillow. It can be diluted in water or alcohol and sprayed into the air or used in candles. You can inhale it as a vapor by filling a pot or sink with hot water. Add 2-3 drops to water, cover head with towel to keep steam in while leaning over water. Inhale deeply and slowly. Perhaps the most effective method of getting it into the air is through the use of an aromatherapy diffusor. This not only cleans the air and can eliminate mold and other pathogens, but the therapeutic properties are inhaled into the body as well. Use 3-5 drops in a diffusor of your choice and enjoy. Topical applications allow for essential oils to enter through the skin and into our blood stream along with the inhalation method. It’s a two-in-one application. Using undiluted essential oils is generally not recommended. There are a few rare circumstances where this is acceptable, although prolonged use can cause dry skin and skin irritations. This method is generally used by dabbing on local areas or use in the shower. Lavender Oil is probably the safest and gentlest essential oil out there and is safe for undiluted use, although not necessary. Tea Tree Oil is also considered generally safe and is a powerful antiseptic. When in doubt, dilute. Common carrier oils for topical use include Apricot Kernel oil, Jojoba oil, Evening Primrose oil, Almond oil, and Olive oil. This can be put directly on the skin (see dilution below) using oil, lotion, or creams. Use 1/2- 2 Cups Epsom Salts and add 8-10 drops of essential oil to bath water. If skin is sensitive or dry, eliminate salts or rinse off after bath. Turn the shower off after washing. If it is the first time you are using an oil, put 1-2 drops behind the knee and work oil on the skin in an upward motion using the water on the skin to dilute it. Once you know the oil is tolerated, use 5-20 drops (start with 5 and slowly work up) of undiluted essential oil. Rinse in hot water and inhale the essential oil. Infusion is a method of extracting essential oils from fresh herbs and plants by soaking them in a base. This is usually done with culinary oil such as Olive Oil or by using grain alcohol. This method is used more for flavoring or scenting than for internal therapeutic effects. Ingestion of essential oils is effective when treating digestive and respiratory issues. Certain oils have been proven as effective antimicrobial agents in battling digestive pathogens such as Candida, C. diffile, intestinal parasites, and other drug resistant pathogens. This also tends to boost immune function. The efficacy and delivery of essential oils beyond the intestinal cavity is still unknown. This is due to the liver’s detoxification enzymes and the effect they have on the essential oils. This is generally taken 5-10 drops of a diluted mixture in water or in an empty gelcap. If respiratory effects are desired, the water method is more effective, as it can be absorbed while swallowed. If digestive applications are needed, the gelcap is often most effective. Suppositories, although not favored in our culture, are probably the most effective internal application. By using a suppository, the essential oils are absorbed into the abdominal veins and surpass the liver. This delivers them directly into the heart-lung circulatory system, increasing the chances of them crossing the blood-brain barrier and being absorbed systemically. Most essential oils require dilution due to the highly concentrated nature of the oils themselves. Less is more when it comes to essential oil application. They blend best with carrier oils, and can be used in water as well. They can also be used with other bases such as alcohol, vinegar, creams, lotions, soaps, etc…for culinary or bath body use. Quality of oils, lotions, and other bases is crucial. Essential oils will carry the bad stuff with them into your tissues and blood stream, so quality is important. See the Bath & Body page for more information on harmful chemicals in products. General Dilution proportions are 10-20 drops of essential oil per ounce of carrier oil or other base. A 2% solution is considered overall safe which is 12 drops per ounce of base. Each individual essential oil has its own specific synergistic properties. When you mix two or more oils, the chemical composition changes, creating new and different therapeutic properties. It is important to understand this to avoid adverse effects or toxicity. Make sure you buy pure and genuine, authentic, undiluted, and therapeutic grade oils, preferably organic. The following is a list of my must have on hand essential oils and their basic therapeutic properties. I have used these oils for years, and have had great success with them. Methods of use: Undiluted and dabbed on skin around lymph nodes. Can be used diluted in oil for lymphatic massage. Therapeutic Properties: Antibacterial, antiviral, antifungal, fungicidal, analgesic, expectorant, mucolytic, immune support, helps with lymphatic congestion. Cautions: Do not use continuously, in large quantities, or too often to avoid sensitivity. Once or twice daily until symptoms improve for no more than 1 week. Note: There are several types of Bay Laurel each with their own therapeutic qualities. Methods of use: Whole flowers can be made into a tea for internal ingestion. Inhalation is effective for relaxation and inducing sleep. Topical applications relieve inflammation and pain. Therapeutic Properties: anti-inflammative, relieves gastro-intestinal pain, and detoxifies bacterial waste products from infectious diseases. Note: There are several types of Chamomile each with their own therapeutic qualities. Methods of use: Internal ingestion is the most common use (flavoring is the everyday use). Cinnamon bark taken internally via mouth, capsule, or suppository is highly antimicrobial. Topical use is not recommended. Therapeutic Properties: anti-infectious, strongly antibacterial, antifungal, antiviral, antiseptic. Helps digestion of protein. Cautions: Skin Irritant. Should not be used in topical applications. Very small amounts may be used as flavor oil for lip balms. Note: Cinnamon Leaf has similar but different therapeutic effects. Methods of use: Inhalation and topical applications. Great used with the vapor method or as chest rub. Cautions: Can be a skin irritant. Used in large amounts or too often can cause bronchial irritation. A little goes a long way. Note: There are several types of Eucalyptus each with their own therapeutic qualities. Methods of use: Inhalation and Topical use in baths or diffusors. Internal ingestion is usually limited due to the diuretic effect. Cautions: Can cause phototoxicity if used topically. Note: Grapefruit Essential Oil is not the same as Grapefruit Seed Extract. I have more information on GSE on the Naturopathic Treatments page. It is highly effective in combination with Oregano Oil, Banderol, Samento, and Teasel Root. Methods of use: Inhalation and Topical use in baths or diffusors. Internal use is generally limited to culinary flavoring and teas. Can also be used for bath and body products, perfumes, etc. 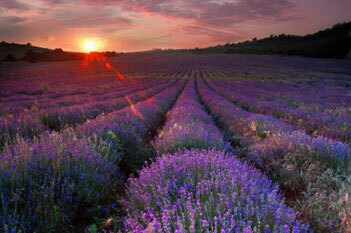 Note: There are several types of Lavender each with their own therapeutic qualities. Methods of use: Inhalation and Topical use in baths or diffusors. Internal use is highly effective for detoxification. 1-3 drops in a glass of water stimulates liver detox enzymes. Allows for control of level of detox desired. Also used in bath and body products. Cautions: Can cause photo toxicity if used topically. Methods of use: Internal ingestion is the most common use. Oregano Oil taken internally via mouth, capsule, or suppository is highly antimicrobial. Topical use is not recommended. Therapeutic Properties: Antiviral, antibacterial, antiparasitic, antifungal. Helps to strengthen the spleen, with viral, bacterial, and respiratory infections, and with immune deficiency. Thought to be effective against biofilm formation. Cautions: Skin Irritant. Should not be used in topical applications. Note: There are several types of Oregano each with their own therapeutic qualities. Methods of use: Inhalation, Topical, and Internal applications. Cautions: Skin Irritant. Very small amounts may be used as flavor oil for lip balms or for foot lotions, baths, or massage oils. Note: There are several types of Rosemary each with their own therapeutic qualities. Methods of use: Inhalation or Topical applications. Use in small amounts as an antiseptic or anti-fungal topical treatment. Therapeutic Properties: antiviral, antibacterial, antifungal, antiparasitic, immuno-stimulant. Cautions: Overuse can dry and irritate skin. Special thanks to Kurt Schnaubelt for his contribution to the research, understanding, and knowledge of the therapeutic effects of Essential Oils. You are one of a kind. Essential Oils are powerful chemical compounds…Nature’s pharmacy.